These collections are usually curated over time and written out a little in advance, but after dinner last night I mentioned to my son that I still needed to write my Friday Favorites post for this week. I also told him I had no idea what the topic would be, trying to keep the panic out of my voice. I didn’t expect a response, but he actually replied with a thoughtful “Hmm.” That stopped me in my tracks, waiting to see what was coming next. He said “How about lumber?” That may sound a little out of left field to you, but I knew exactly where it was coming from. For almost a year, my son has been working at our local Home Depot, in the lumber department. Today is his last day. He’s taking a couple of months off before he heads for Navy basic training. He needs a little time to get everything, including himself, ready to go. Knowing that, there was no way I was turning down his idea, especially since it was a good one. After all, this is the same guy who made that amazing wood ring box for his sister’s wedding. 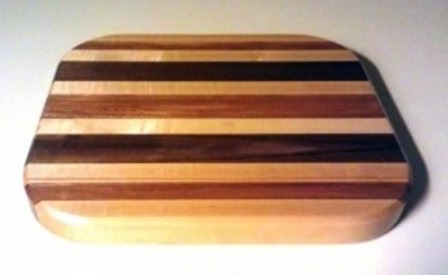 These cutting boards from Woodworking Adventures caught my eye right away, because I made something just like it when I took woodshop class in middle school. Yep, I come from the olden days when it was a required class, along with sewing and cooking. This Glow Table from mikeasaurus on Instructables looks like something my husband would love. Since we’re talking about my husband, will someone drop the hint that this Double Chair Bench with Table from DIY Projects with Pete would be perfect on our front porch? Learn how to make a Viking Beer Mug from bricobart on Instructables the manly-man way, no power tools involved. This Scrap Wood Fireplace on Shannon Berrey is beautiful. I always love a good before and after! This one is especially for my son – How to Make a Homemade Long Bow with Wood from the Hardware Store from Survivalist Prepper. Maybe he can pick up the supplies before he comes home today. 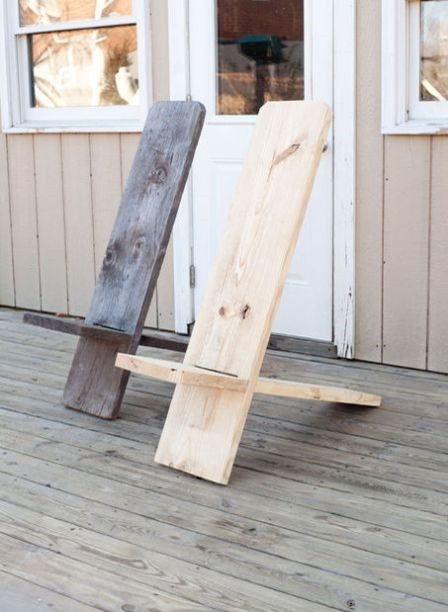 This One Board Minimalist Chair from More Cowbell on Instructables seems like a great idea. It can be taken apart and stored, perfect for camping or apartment dwellers. If you have access to a scroll saw, let Sew Woodsy show you how to make your own wooden letters. 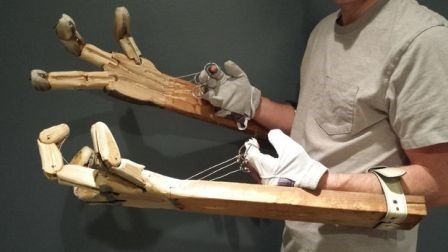 With Halloween around the corner, it seemed a shame not to share these Mechanical Monster Hands from NathanSellers on Instructables. This Playhouse Frame from Ana White is cute décor, but I think it would be the best blanket fort base ever.